Santa Beer Mug Tag - Be Jolly! 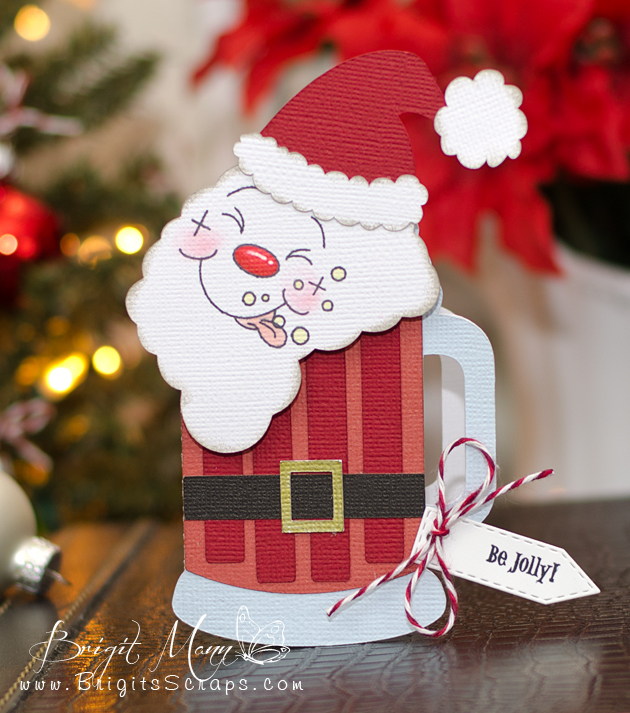 Hi everyone, I thought this beer mug card from SVG Cutting Files would make a cute santa using the Peachy Keen Happy New Year face stamp. The assortment and 1 1/8th" sets are on special this month, so it's a great time to pick them up!! I made the card smaller, I'm actually going to use it as a tag for Christmas, have a bunch or beer lovers in the family, so I'll make a couple! Twine is Peppermint Stick from Annie's Paper Boutique, die is from Jaded Blossom and sentiment is from Peachy Keen Stamps July 2014 Club set. 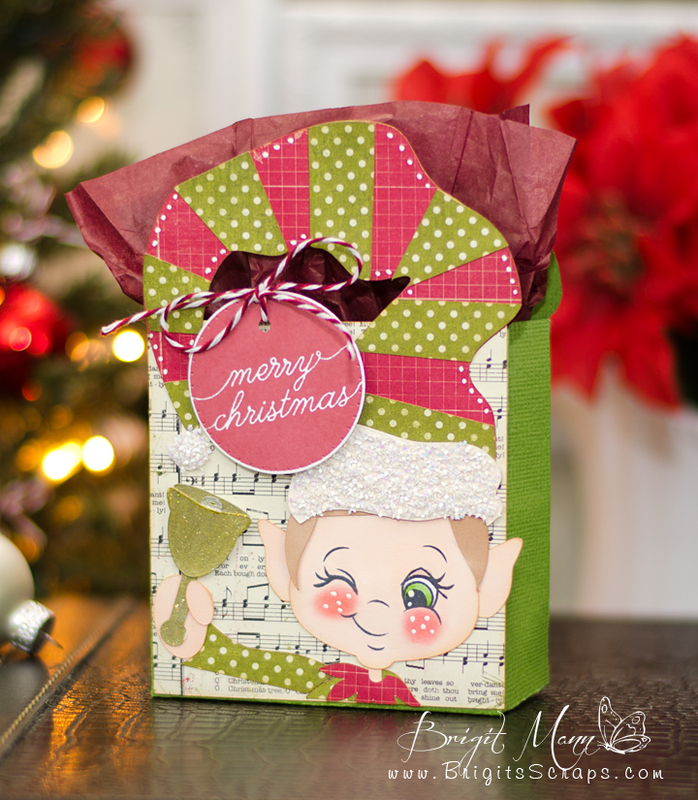 Hi everyone, I'm sharing this adorable Elf Handled Bag from SVGCutting Files. How cute is that, love the handle hat. I used one of the Peachy Keen's PK-1410 Christmas in July Face Stamps. The Merry Christmas sentiment is also from PKS, it's from the PK-1347 Reverse Sentiment set. Paper is Authentique Festive and twine is Peppermint Stick Trendy Twine. 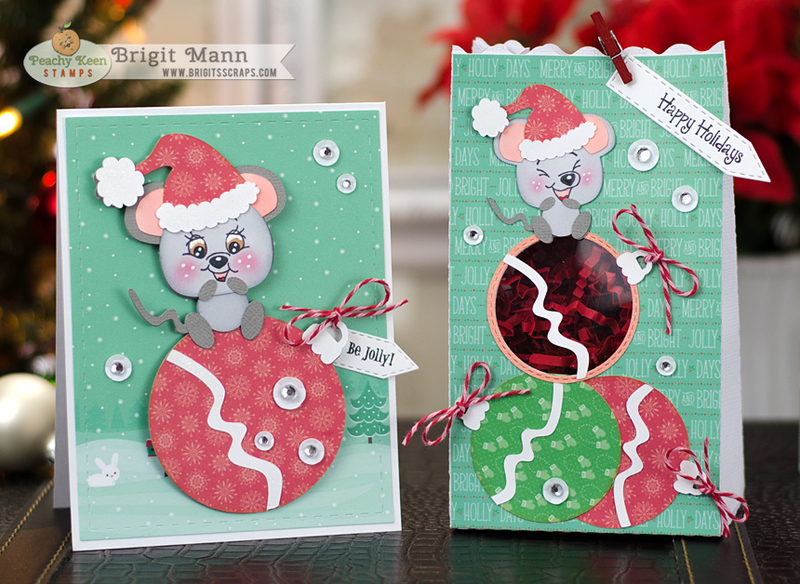 Santa Mouse Gift Set - PKS Face Day Project! 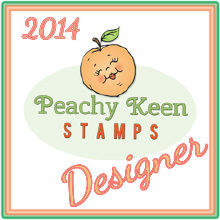 It's my turn on the Peachy Keen Stamps blog today! I created this cute gift set for the Holidays. I used two of the adorable faces from the PK-757 Wide Eyed and Bushy Tailed Assortment pack. Totally love this assortment, the faces are so cute and a must have for some of your animal cutting files. 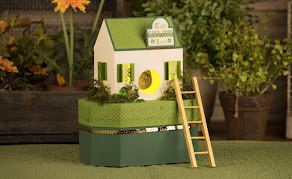 The Be Jolly sentiment if from the PKSC-31 July 2014 set and the Happy Holidays is from the newest release PK-1449 Holiday Sentiments. The Santa Mouse Ornie is from SVG Cutting Files. I used My Creative Time's Bunch of Fun Circles Dies to cut the hole out of the bag. 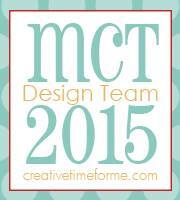 I also used the background die and two label dies from Jaded Blossom. The bag is from the Silhouette Online Store. Paper is Lawn Fawn's Snow Days, I like to use 6 x 6 paper pads for my cards so I just cut the bag from white cardstock and added the designer paper to the front. Twine is Cherry Cupcake Trendy Twine. Don't forget to check out the December Specials!! Thanks for stopping by, have a wonderful day!! 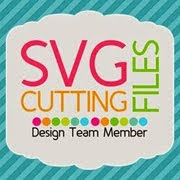 using a couple of files from SVG Cutting Files. Every time I looked at the Fancy Label Card Base it reminded me of a barrel. light tan layers on the top and bottom of the barrel. Duplicating that layer again I cut stripes 1/2" apart to make it look like a barrel. I have an older version of Silhouette Studio Designer Edition so I used that to design and then saved it as an svg and cut it all out on my Cricut Explore, which I really love!! 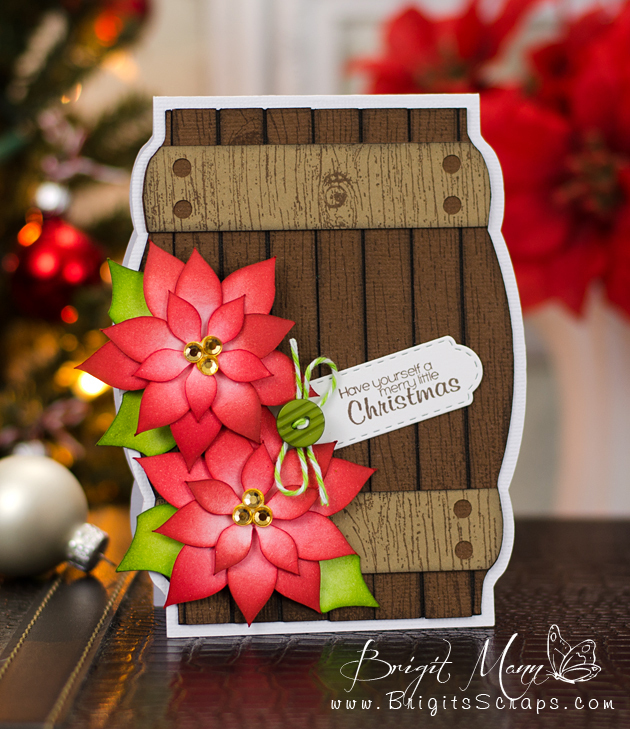 I stamped all the wood looking pieces with Heidi Swapp's Woodgrain Background Stamp. For the 3D Poinsettias I colored with Tim Holtz Distress Inks. and the die is from their Mini Tag Dies 2 set. A little button and some Trendy Twine Limeade finished up the project!